We’re well over 100 sites into our WordPress Content Management rollout here at John Carroll University, and it’s been going swimmingly. 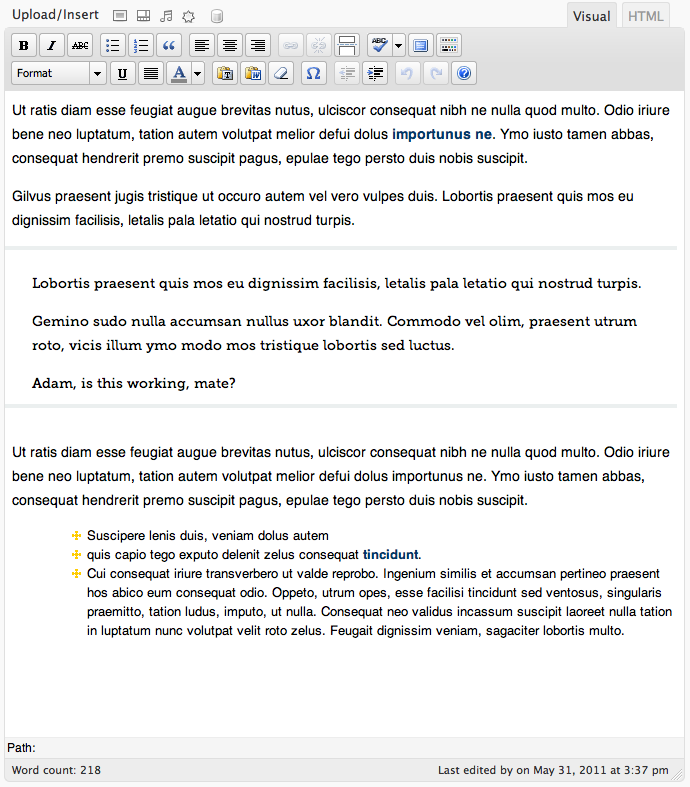 One of the reasons we selected WordPress was its Word-like interface for working with copy. For our users who had been using Dreamweaver for years, they’ve found it to be an easy transition. The feedback we were getting is that what they were typing in the visual editor in WordPress wasn’t what they were seeing once when they previewed or saved their pages. They wanted to see actual line spacing, bulleted lists, blockquotes and more look more like what they’ll be like once they are published. 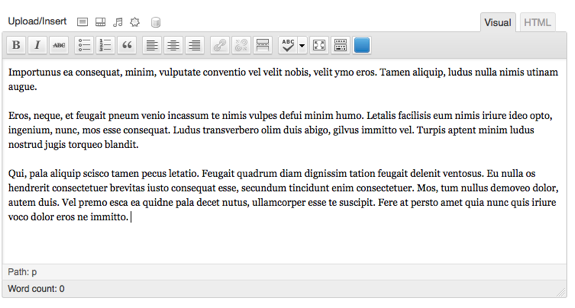 Reload your editor and text put in the editor or using TinyMCE’s buttons should be styled correctly. Depending on your site’s CSS, you can add additional tags if you are styling them a certain way, such as hr or img.